“Real estate prices have continued to decline, but the quality of the real estate loan portfolio has remained resilient. Structural measures taken in 2014, such as the tightening of industry self-regulation, higher real estate fees, and tighter macroprudential regulation for mortgage lending, have helped contain speculative demand for real estate and led to declining prices. 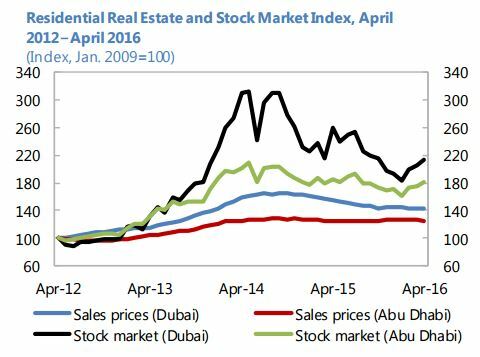 This trend has continued with Dubai’s real estate average residential prices falling by 11 percent in 2015, also reflecting oversupply and strong headwinds on demand. In Abu Dhabi where the supply growth slowed, they fell by 0.8 percent. However, these developments do not appear to pose systemic risks for the financial sector, as the nonperforming loans for construction and real estate development declined from 12.3 percent in 2013 to 7.5 percent by end-March 2016. Similar improvements have been experienced for loans to households with NPLs ratio down from 10 to 4.9 percent over the same period”, according to the IMF’s report on United Arab Emirates. “Real estate prices have continued to decline, but the quality of the real estate loan portfolio has remained resilient. Structural measures taken in 2014, such as the tightening of industry self-regulation, higher real estate fees, and tighter macroprudential regulation for mortgage lending, have helped contain speculative demand for real estate and led to declining prices. 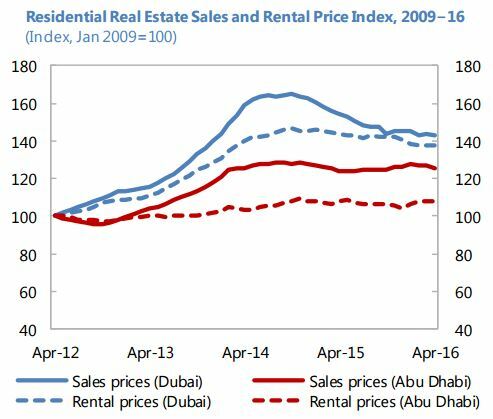 This trend has continued with Dubai’s real estate average residential prices falling by 11 percent in 2015, also reflecting oversupply and strong headwinds on demand. Issi Romem is the Chief Economist at BuildZoom—a start-up in San Francisco. For this issue of the Global Housing Watch newsletter, he talked to Hites Ahir about BuildZoom and what it offers, whether the expansion of American cities has slowed down, and what BuildZoom’s data tell us about the current state and the short term outlook for the U.S. housing market. Hites Ahir: Tell us a bit about your background and what sparked your interest in housing markets. Issi Romem: In pursuit of my life long passion for observing and understanding cities, I earned a PhD in economics at the University of California at Berkeley. Economics offers a particular lens with which to analyze cities and contains several fields that relate to them. I chose to focus on labor and housing markets. As the Chief Economist at BuildZoom, I leverage my role to continue studying cities in alignment with the company’s needs. Hites Ahir: Tell us about BuildZoom and your role in the company? Issi Romem: BuildZoom actively helps people find good, reliable and communicative contractors, and helps see the projects through to completion. In order to inform the matching of people and contractors, BuildZoom collects data on contractor licensing as well as a growing national repository of building permit data. BuildZoom makes the data easy and free for the public to view on the web, which is particularly valuable because – unlike customer recommendations or photos – a paper trail of building permits shows a contractor’s professional experience in a way that cannot be falsified. My role at BuildZoom includes the production of data-driven content for the website, as well as oversight of data science and the company’s data collection efforts. The data-driven content includes the production of economic indices of remodeling and new construction activity, as well as one-off economic analyses. It also includes trawling new building permits for newsworthy information, such as projects undertaken by companies that are particularly interesting to the public. Hites Ahir: In the United States, there are a lot of companies that provide data and analysis on the U.S. housing market. So what is unique about BuildZoom? Issi Romem: BuildZoom’s data sheds light on all types of new construction and remodeling activity. Remodeling, in particular, is an otherwise hidden aspect of the nation’s real estate stock, on which there are very few sources of information. Moreover, as some of the greatest metro areas in the nation restrict their supply of new housing, more and more of the action in these cities’ real estate markets involves the renovation and/or repurposing of the existing stock of structures, into which BuildZoom’s data sheds light. 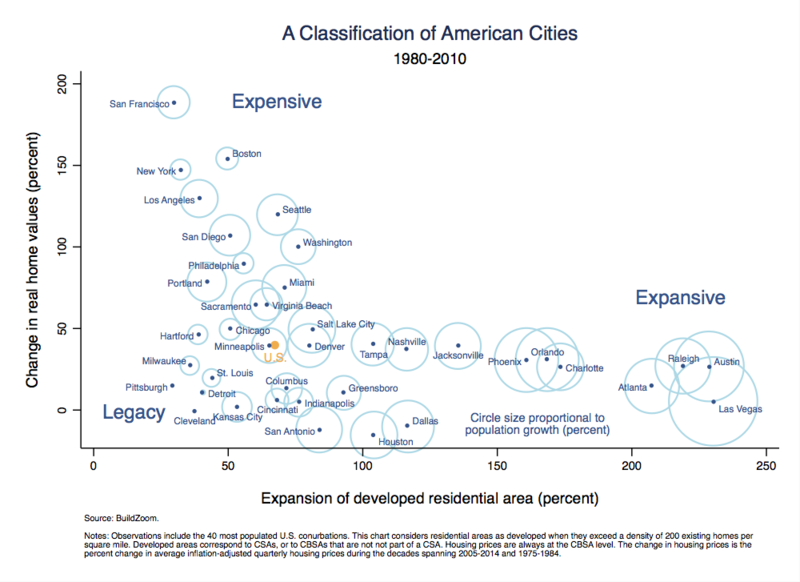 Hites Ahir: You recently wrote on whether the expansion of American cities has slowed down. What is the verdict? Issi Romem: The expansion of American Cities as a whole has not slowed down. It has kept progressing at a more or less steady pace each decade since World War II. However, there are important differences between cities. One group of cities, consisting mostly of large coastal cities, have indeed slowed down their expansion, and in so doing have channeled their economic strength away from population growth and into housing price growth. I refer to these as expensive cities. Another group of cities, mostly in the south, have continued to expand with gusto, and as a result have experienced tremendous population growth while maintaining housing prices at affordable levels. I refer to these as the expansive cities, with an a. Finally, a third group of cities mostly in the rust belt had thriving economies in the past, but have lost much of their economic base, and experienced neither housing price growth nor population growth. I refer to this last group as legacy cities. See the full report here. Hites Ahir: Based on BuildZoom’s building permits and remodeling data, what can you tells us about the current state of the U.S. housing market? Issi Romem: The index tells us that, during the last decade’s boom and bust cycle, residential remodeling peaked and plummeted in sync with residential new construction. However, it also tells us that during the bust, new residential construction suffered much more than residential remodeling, and that residential remodeling is currently much closer to its pre-bust level than new construction. During downturns, new construction essentially grinds to a halt, but remodeling combines procyclical elements, like renovations preceding or following a home sale, with elements that are acyclical, like maintenance. The latter keep fluctuations in remodeling less pronounced than those of new construction. Hites Ahir: What is your view on the short term outlook for the U.S. housing market? 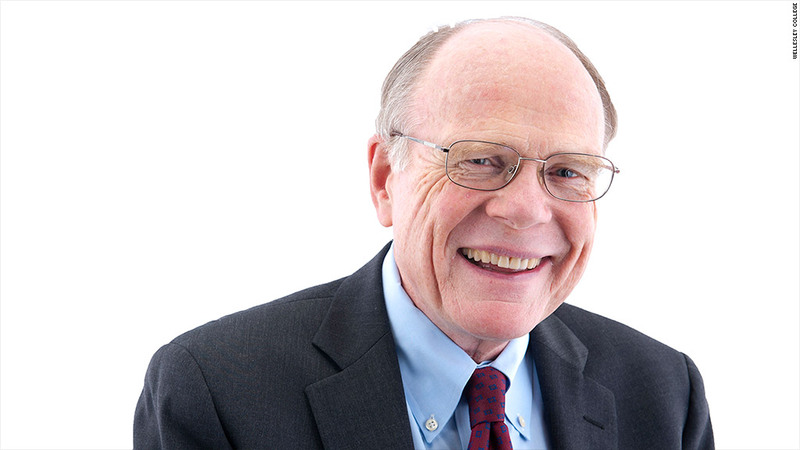 Issi Romem: Predicting where the housing market is going in the short term is tricky business. I suspect that a downward correction in housing prices is possible, but far from certain, and that if it occurs it will be very minor compared to the previous decade’s bust, and will be concentrated in the expensive coastal cities. If and until such a correction occurs, we are likely to see particularly robust housing price increases in places that receive the greatest influx of homeowners migrating out of the expensive coastal cities. Portland (Oregon), Seattle and Denver, for example, draw particularly large inflows of former residents priced out of California. Such places are also susceptible to experiencing a price correction if the influx of homeowners migrating out of the expensive coastal cities were to ease, following a price correction there. Issi Romem is the Chief Economist at BuildZoom—a start-up in San Francisco. For this issue of the Global Housing Watch newsletter, he talked to Hites Ahir about BuildZoom and what it offers, whether the expansion of American cities has slowed down, and what BuildZoom’s data tell us about the current state and the short term outlook for the U.S.
Evicted: Poverty and Profit in the American City by Matthew Desmond—is a “brilliant book about housing and the lives of eight families in Milwaukee”, the Guardian writes. From 2008 to 2009, he lives in a trailer park in Milwaukee to study and document the lives of people who spend more than half of their income on rent. The two years of fieldwork generates more than 5,000 pages single-spaced notes (San Francisco Chronicle). He even employs a fact checker to verify every detail (Wall Street Journal). Desmond is currently the John L. Loeb Associate Professor of the Social Sciences at Harvard University and Co-Director of the Justice and Poverty Project. In 2015, Desmond was awarded a MacArthur “Genius” grant. What follows is a review of the reviews of Desmond’s new book. Evictions: How big? How serious? One of the main findings of the book is that “eviction is a much more frequent event than has been thought and has long-term consequences for the health and stability of families (…) from 2009 to 2011, 13% of Milwaukee renters had been evicted (…). Further, renters thus evicted moved to neighborhoods that were on average 5.4 percentage points poorer and 1.8 percentage points more crime-ridden than the neighborhoods in which renters who moved more voluntarily ended up. These findings lend considerable support to the claim that eviction causes poverty.” (Wall Street Journal). Another review from the New York Times says: “How can you hang on to a job, send your child to school, or build roots in a community if you are constantly changing homes, each one more dilapidated and dangerously located than the next?” The Guardian notes that “an eviction on your record makes the next apartment harder to get.” And “What is clear is that this is a problem that affects a lot of people, with one in five renters spending half or more of their income on housing and over one in five black women having been evicted”, writes the Independent. Low-income rental housing market: Is it affordable? Is it profitable? However, the problem of limited “vouchers” is that “sixty-seven percent of poor renting families received no federal assistance for housing at all in 2013 (…). The very people least capable of spending 70 to 80 percent of their incomes on rent are exactly the ones forced to do so (…) With vacancy rates for cheap housing in the single digits, the moment is ripe for exploitation. It’s a landlord’s market” (New York Times). “And all of this comes [on top of] gentrification and surging housing costs at a time of stagnant wages” (Boston Globe). Moreover, “You might not think that there is a lot of money to be extracted from a dilapidated trailer park or a black neighbourhood of “sagging duplexes, fading murals, 24-hour daycares”. But you would be wrong”, according to the Guardian. In the book, on one end there is one of the characters—Lamar—a single father and whose legs had to be amputated due to frostbite—makes $628 dollars a month, of which $550 dollars goes to rent, leaving $2.19 a day for the family. Similarly, Arleen—a single mom—spends 95 percent of $628 dollars monthly welfare check on rent for an apartment without appliances (Huffington Post). “We have to recognize how essential housing is to driving down poverty and recognize that we can’t fix poverty without fixing housing” (Slate). So on policy suggestions, Desmond “solutions are simple: grant tenants the right to legal counsel in housing court, and create a universal voucher system for families below a certain income level, modeled after programs already in place in countries like Great Britain and the Netherlands” (San Francisco Chronicle). Desmond proposals also include restriction on the rents landlords can charge. What is the estimated cost of annual housing assistance for the poor? “Tax relief on housing costs for American homeowners amounts to $171bn a year. Annual housing assistance for the poor is less than a quarter of that. Mortgage interest, tax relief and capital gains exclusions cost the US three times more than the entire cost of universal housing provision, according to the Guardian. “The Harvard center found that low-income households with severe rent burdens spent 38 percent less on food than similar households with affordable shelter, 55 percent less on health care, and 60 percent less on transportation (…) Evicted isn’t a depressing book. It is also a stirring reminder that the US accepts as ordinary a depth of poverty that is extraordinary and cruel. At its heart is a simple message: No moral code or ethical principle, no piece of scripture or holy teaching, can be summoned to defend what we have allowed our country to become” (New York Review of Books). Evicted: Poverty and Profit in the American City by Matthew Desmond—is a “brilliant book about housing and the lives of eight families in Milwaukee”, the Guardian writes. From 2008 to 2009, he lives in a trailer park in Milwaukee to study and document the lives of people who spend more than half of their income on rent. The two years of fieldwork generates more than 5,000 pages single-spaced notes (San Francisco Chronicle).